Get your map of the course (below) and follow the course around and take a look at the corners. 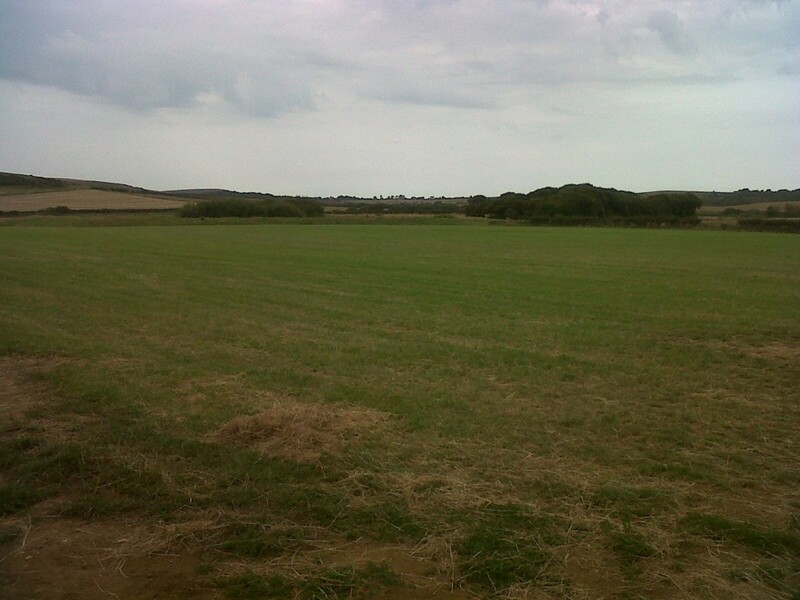 “It looks like there will be a very good turn out of IOWCC members for the Odiham Sprint. 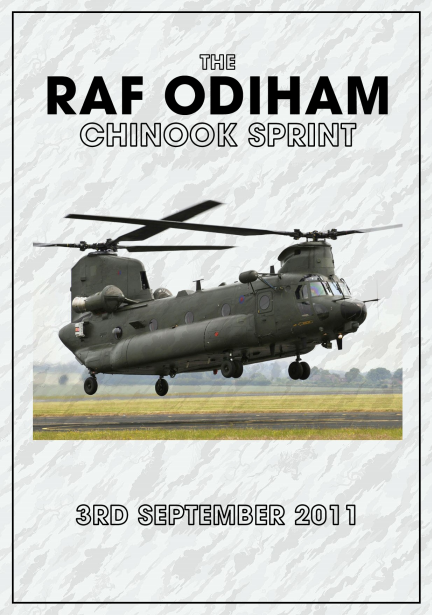 We are also running a Solo at Odiham too, more of an entry level event. Please could you invite your members to enter, maybe be part of an even bigger convoy from the IOW onto the mainland. Regulations, Entry forms and on-line paypal too. 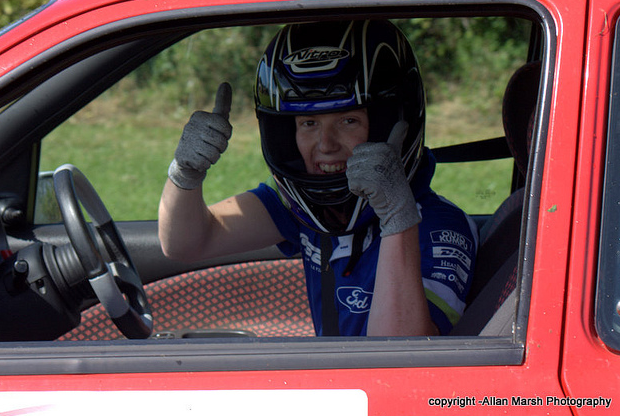 I found the link below whilst trawling the forums, very useful for the novice speed competitor. The day dawned bright and sunny with the threat of a few showers lingering in the air. 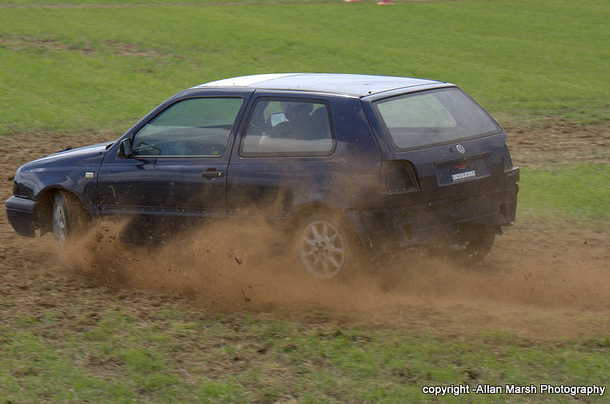 This did not deter the 32 entrants to Sunday’s forwards only autotest however. Atherfield has become one of the most valued IOWCC venues and the quiet rural setting provides a relaxed atmosphere for all concerned. The surface and size of the field always allows for a long course. 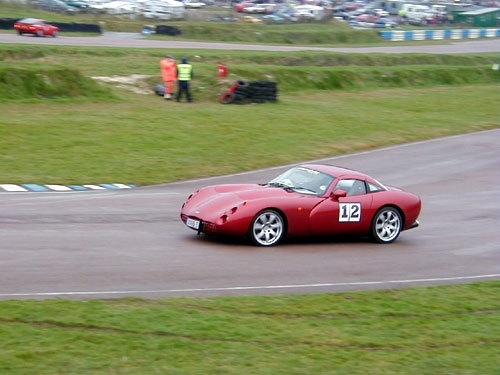 The first few competitors were greeted with a slippery grass surface and as it began to dry the impression of a track began to form as the grass wore off. A brief if heavy shower dampened the course but not spirits. The resultant moisture went as quickly as it came and the times fell. 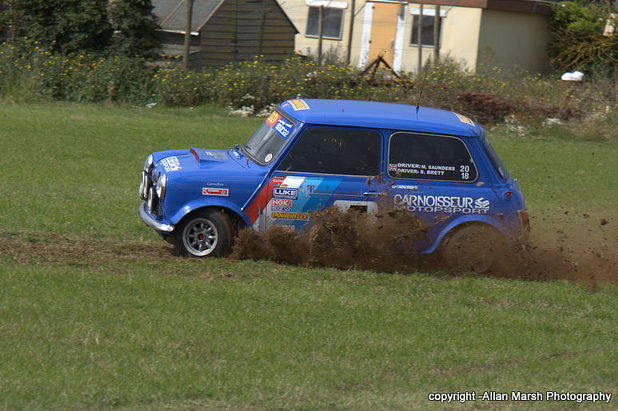 Front wheel drive cars dominated the field and the leading pack soon divided between those in VW Golfs, Steve Brett in his Mini and Wayne Hole in a Fiesta. This was all destined to change as the competition wore on and unlikely contender Dean Long asserted his postion in a Mazda MX5 on road tyres, whilst the rest of his peers ran with knobbly off road tyres. His commendable efforts were rewarded at the close of play with a solid 5th postion, although trumped by Richard Weaver in a lightened but elderly Fiesta XR2, who finished in 4th. Steve Brett took an excellent 3rd in his tidily prepared Mini, partnered by lady driver Marion Saunders who is becoming faster as she learns the car. 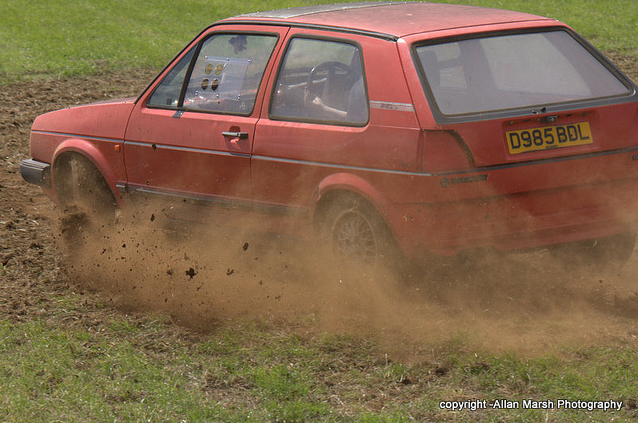 Neil Glasbey was a mere 7/100ths of a second behind Dan Morgan on his way to 2nd overall, both of these drivers in golfs. Dan took an emphatic win which was achieved by his third run, with no other drivers able to usurp his fastest time of the day. Ross Davidson and Chris Pocock had a competive day in their diesel powered golf as they continue to improve in skill and pace. Danny Grist had an excellent day with a very creditable run to 6th position in a borrowed Fiesta, the young up and coming driver of 2010 recovering well from his shoulder injury. Martyn Cutler and an unusally anonymous run to 10th, although his late arrival probably effected his overall postion due to his lack of seat time. All in all, a brilliant event and grateful thanks needs to go to Alistair and Jenny Davidson for their hospitality. Check out this simply awesome video of the day below. 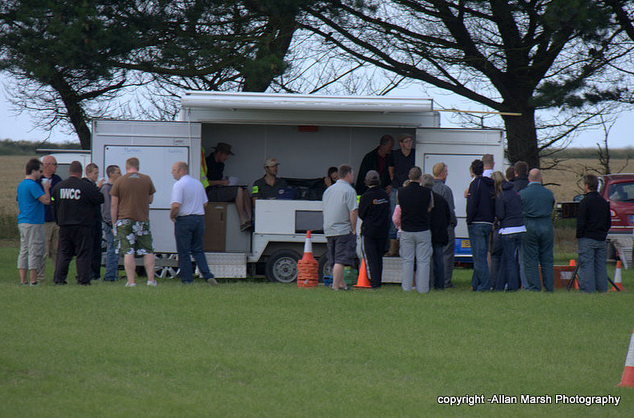 Odiham Sprint – Inundated with IOWCC entrants! 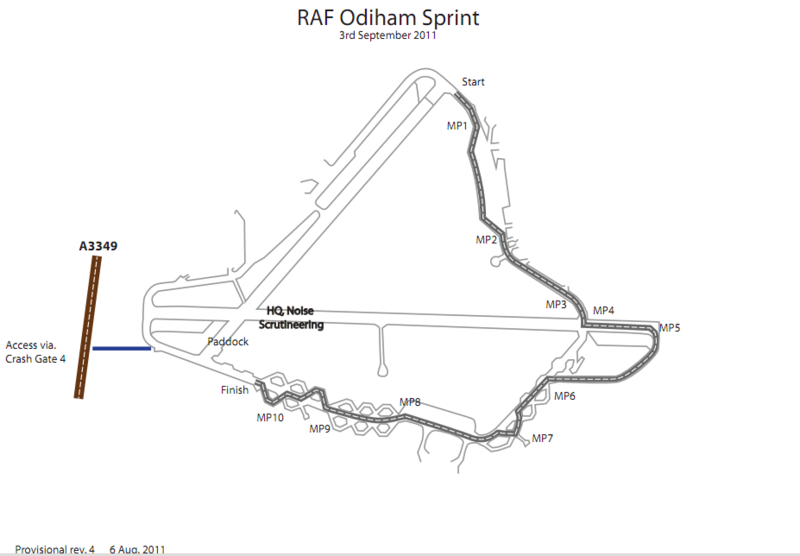 The entry list for the Odiham sprint has been published and of the names on it are 11 IOWCC members. 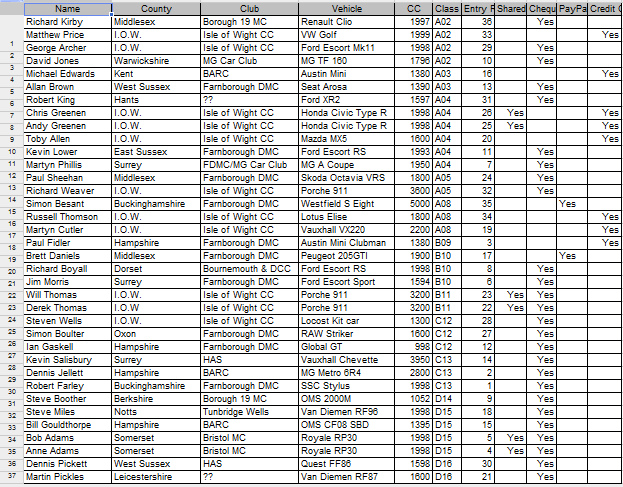 At present Car Clubbers are dominating the entry with the highest proportion of entries from a single club! Plenty of spaces left and sprinting is an easy sport to get into, so check out this guide and get your entry in! This weekends USS round at Atherfield is go! Details to be emailed to all full members shortly. Once again the kind invitation extended to the Isle of Wight Car Club by the Austin Healey Club for the clubs to jointly participate in an annual hill climb was greatly appreciated. 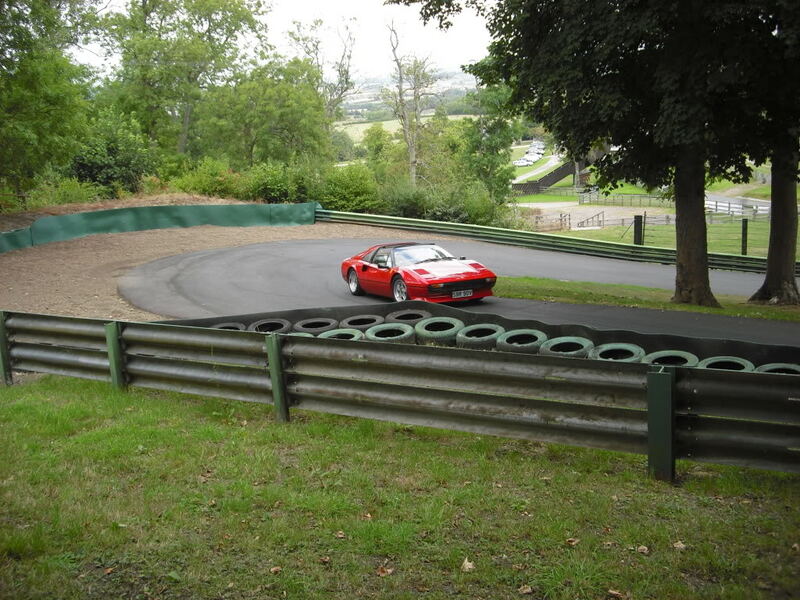 The venue is home to the Buggatti owners club and of historical significance to any motoring fan being one of the oldest hill climbs in the world. 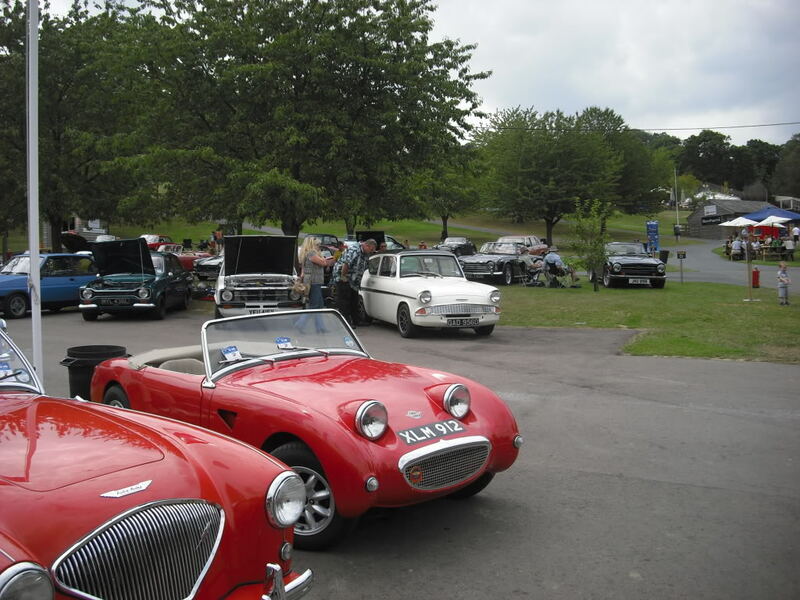 This is a return invite from the Healey club who come down to compete with the IOWCC every year in November, so it was nice to see some familiar faces a little earlier in the year and warmer weather than usual. The day started off with a leisurely 0715 ferry trip across theSolenton Sunday morning and even this proved to be an achievement. In the run up to the event, of the six cars intending to make the journey three had mechanical issues with some very last minute spannering necessary to ensure that we all caught the boat. The 110 mile journey up to Prescott was going to a testing journey for two of us who were still carrying mechanical woes, and a third member of the trio was having to trailer their 1930’s Austin 7 due to a electrical fault. After a few miles the gremlins started to reappear, with my car suffering from a noisy drive shaft which was in a bid for freedom from the confines of its hub assembly. The radio started to lose its ability to drown out the deafening noise which was to follow us around all day. After a few more miles another problem arose. The temperature gauge of another car was showing excessive engine heat which lead to a pit stop for them and the leader of the convoy went whistling off in to the distance, leaving the two of us with no idea of where we should be going and the prospect of a couple of dozen roundabouts to try and navigate. A quick phone call later we found out that we were well off course and would have to find our own way toPrescott. This fortunately made for a very nice drive up throughSalisburyplain and Devizes, which in my opinion was a worthwhile detour. With our new ‘navigator’ on the maps, we soon found ourselves reunited at the Hill Climb. 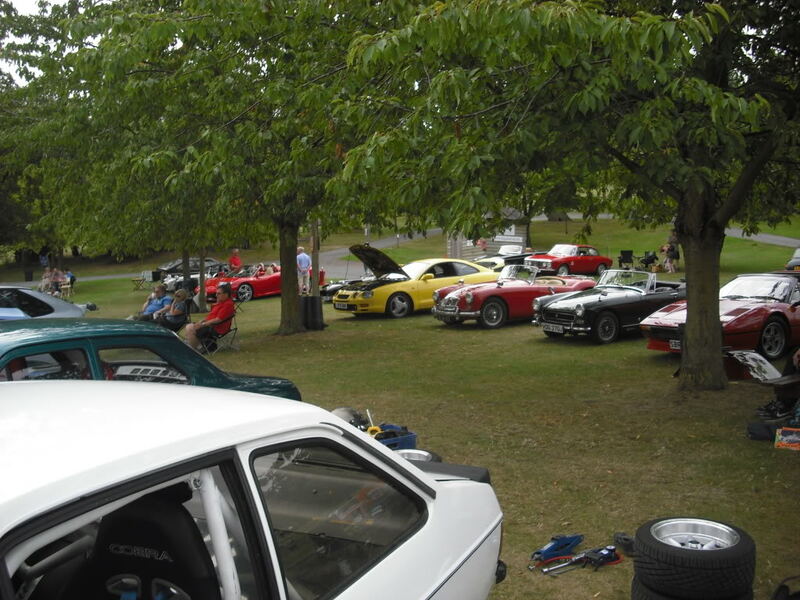 Once we had signed on and had safety briefing the fun was to begin and a quick look around the paddock showed there to be some very fine and rare cars. 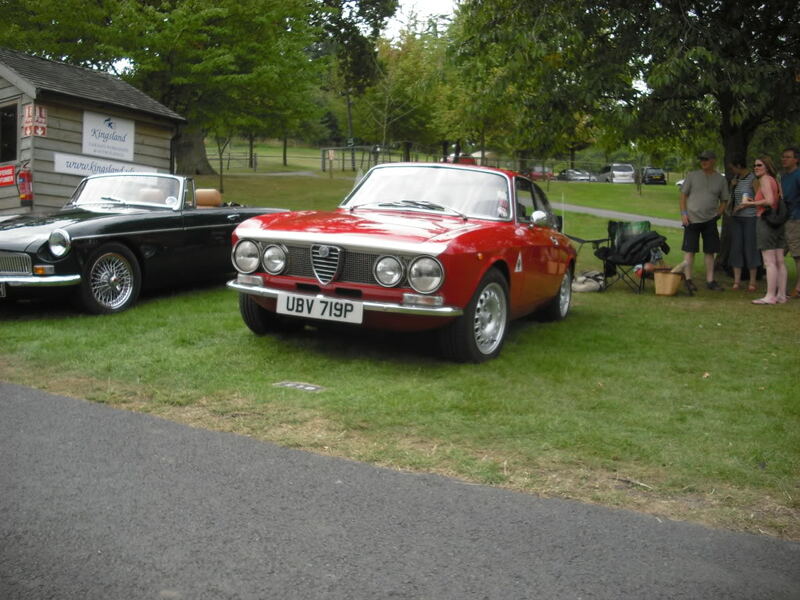 Some of these were only on show, but gladly some being used to their full potential. Having been to here before, I was asked to show the way to my friend Paul and he wrongly assumed that I having not been here in the last four years, would take an easy first run up the hill as I got my eye in. 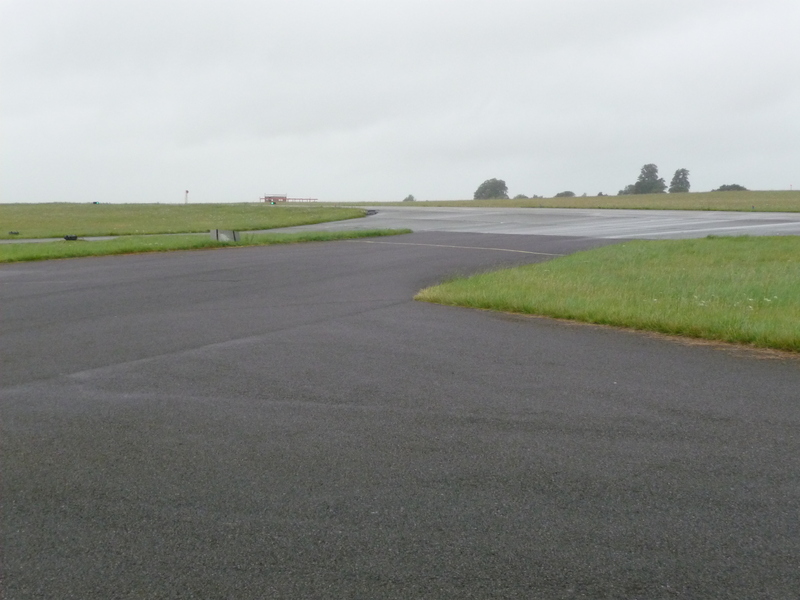 I was straight away trying to drive the old girl around on her door handles on this tight and imposing track, using all the rumble strips and attacking the corners in over committed fashion. This put a smile on my face and a grimace on my passengers! Then it was Paul’s turn to return the favor, which he managed to do comprehensively, with a brief visit, sideways, into the gravel trap. As is always the way with Paul, if in doubt keep your foot down and we soon found our way back on to the black top. As is always the way when ever Gordon ‘Boz’ Bushell takes hisAustin7 out, people always stop and ask numerous questions about his special little car. I was lucky enough to be blessed with a passenger ride up the hill in this wonderful machine and I can say it’s such a delight to be so connected with the road, the flies and the bees! I would like to say a big thank-you to the Austin Healey club for inviting us and to the competitors who made the journey and the day that bit more special.